Once you've authorized your Google Ads account in Raven, you can view and report on a variety of different metrics based on the campaigns, ad groups and ads contained within that account. Much like in Google Analytics, users can view their data on a broad, account-wide level or as narrow as drilling down to specific keywords. 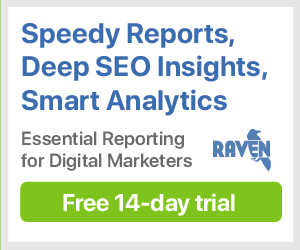 In addition to performance metrics, the Google Ads section of Raven also gives you several insights tools that you can use to evaluate the efficiency and optimization of your Google Ads. These tools are located in the Insights menu.